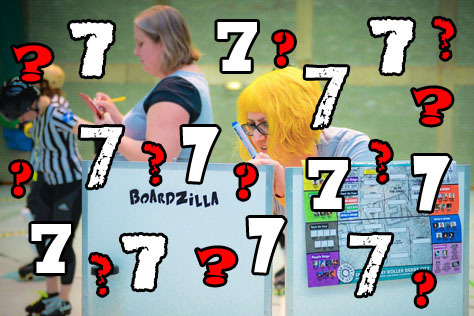 Time For A ROLLER DERBY Education? 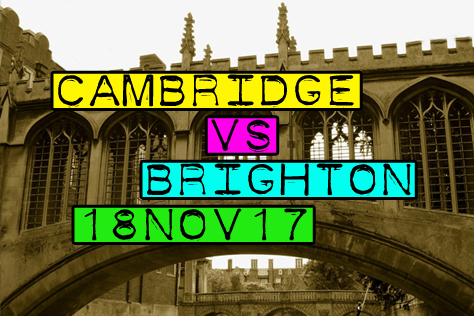 – It’s CAMBRIDGE v BRIGHTON Today! 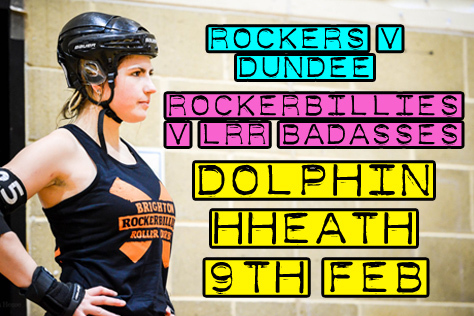 Oh my giddy goodness, the Brighton Rockers A-team are playing on two consecutive Saturdays. Today (18th Nov) sees a trip up to Cambridge, whilst next week (25th) they are at home in Haywards Heath to Norfolk at an event which also sees the B-team play Dorset B. We’ll have a preview of the home games in the next couple of days, but here’s a last minute look ahead to today’s Cambridge trip…. The action is taking place at the Kelsey Kerridge which, unlike most British leisure centres, is pretty much right in the centre of town. 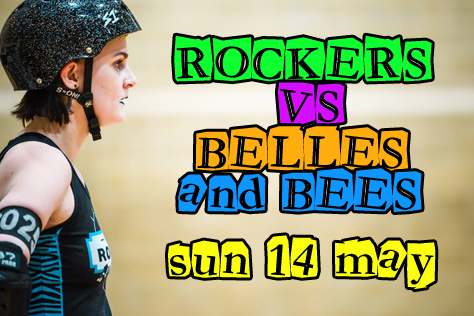 Doors are at 1pm and the Brighton game is scheduled to be first up at 1.30 with the Cambridge B-team hosting LRR B at 3.30. Tickets are available on the door, priced £8 adults and free for Under 16s. Car users should point their Sat Navs at CB1 1ND which is a car park (Queen Anne Terrace) next to the venue. Four hours parking is a fiver. Train folks should be aware that there are very few fast/Victoria trains from Brighton today. Journey planners suggest routes with several changes and a tube journey. 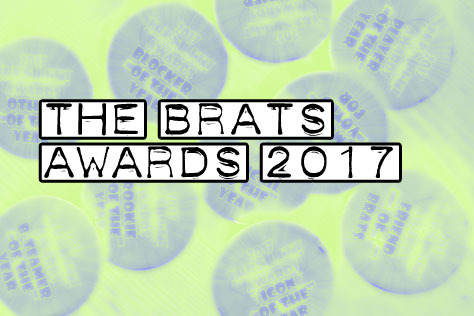 The wise owls at BRATS say get the Bedford Thameslink train to St Pancras, then just stroll next door to Kings Cross. The journey should take around 2.5 hours each way by road or rail. The station is a little way from the town itself. This is deliberate. As with Oxford, the University overlords demanded the railway be built away from the colleges/town so students weren’t tempted by the sinful delights of London or, er, Ipswich. Luckily the leisure centre is on the station side of town, around ten minutes walk away. Skip this bit if you don’t like to hear predictions ahead of a game (although we do share an interesting one in the interviews below)… As far as the A-team game goes, these teams have met twice before, but a derby lifetime ago. The Rockers sneaked a 141-132 win at home in 2011 before thumping Cambridge (or Romsey Town, as they then were) 304-60 away the following year. Cambridge have bounced up the rankings in recent years and currently place 22nd in UKRDA with 598.5 ranking points. Brighton are a little way behind in 25th with 595.0. Flattrackstats gives the hosts 58% chance of the win here, with a predicted differential of 48:43 mathsing out as something like a 192-172 Cambridge win. We tend to put more stock in the European rankings as they cover a broader range of games, including the UK ones. (Around 60% of Brighton’s games in the past two years have been against Euro not UK sides, for example.) Using these, Flattrackstats comes up with something we’ve never seen before. It predicts that Cambridge (75th, 951.0 points) at home to Brighton (68th, 598.8) has 50% chance of a Cambridge win and 50% chance of a Brighton win, with the teams expected to finish exactly equal on points. Obviously that can’t actually happen (in derby you keep playing until there’s a winner) but it suggests this one really is too close to call! Cambridge and Brighton have met open door twice before. That was way back in 2011/12, which is ages ago in derby terms. Presumably both teams have changed a lot since then? Absolutely! Derby is evolving so quickly and luckily we have resources such as online videos and high level coaches to help us keep up. However, each team finds their own way to keep up with changes, so it’s always interesting to see how each team is playing now. Any particular Cambridge players or tactics that you will be looking out for? I don’t know much about their current roster. I’ve heard they have a fearsome reputation for excellent walls though! Which Brighton players or tactics should the crowd look out for? Finn McCruel is my absolute hero. She won’t be out there doing the biggest hits, so she’s not always noticed, but by the end of the game opposing blockers and jammers alike will be hating her! She’s all over the track at once and forms impenetrable walls. Having jammed against her in practice I know she makes you want to cry. The crowd should expect a more dynamic Brighton team today. Flattrackstats calls this (using Euro rankings) as a genuine 50-50 game, which we’ve never seen before! Are you expecting it to be that close? 50% win chance each? That’s so cool. How exciting is that, I love it! As always I will make my own prediction of the result. I think it will be a thrilling 245-213 win. To the Rockers, obvs. Any thoughts re the day’s other game, Cambridge B v LRR B? Ooh, that’s exciting! I imagine they’re pretty evenly matched. LRR are such sweethearts. Well, off the track they are – they’re pretty brutal on the track. I’m looking forward to watching that game. 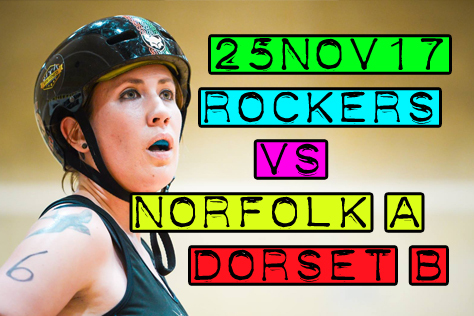 Brighton then take on Norfolk (A-team) and Dorset (B-team) at Haywards Heath next Saturday. This must be the first time you’ve played open doors two Saturdays running. What are the pluses or minuses of doing that? I didn’t even think of this, so maybe it’s not too big of a deal. I think we approach each game individually, but it’s awesome to have more games to play. Cambridge and Brighton met in open door games in 2011 and 2012. Presumably things have changed a lot since then? Cambridge pride themselves on never changing. 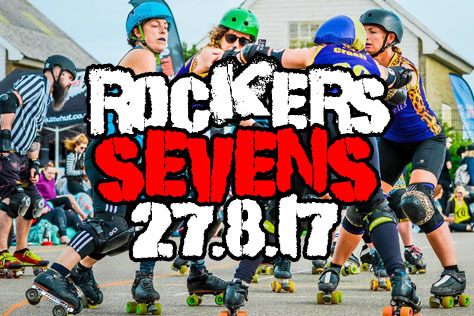 Since the CloneMaster3000 came online in early 2008, the Romsey Town Rollerbillies have been growing replacements for each of their skaters. These are useful for spare organs, or sometimes even just for someone to sit with when no-one else will because your pads SMELL, for the love of…. Jeez. Any Cambridge tactics the crowd should look out for? We have been EXCESSIVELY practicing leg whips. Today is the day. Watch with your eyes, but sense it with your ganglions. Any particular Brighton players or tactics that you’ll be looking out for? I don’t really know… but if they do that thing where they get in the way of our jammer, or protect their point, then I dunno…. I might just pop. Flattrackstats predicts 50/50. Are you expecting it to be that close? Yes and no. I imagine it will be closer in terms of body contact than score per se. If we can find a way of merging the two and creating a super powerful all-seeing all-winning team of point-scoring closeness and glory, then I imagine that would be preferable. But failing that… We’ll do the thing and then that thing’ll happen. What about the day’s other game, Cambridge Punts (B-team) v LRR B? Punting is a popular pastime for plenty of people while perusing the plains of East Anglia. The punts are prolific in persistence in playing to perfect their roller profession. Prepare to party Punt style as these pugnacious punts take to the track. What can you tell us about your derby venue and Cambridge itself? Kelsey Kerridge was the initial breeding point for the Romsean Rollaerians from Alpha Smasha Roller Badger 7. They first integrated the humans of the local area by leaving DNA in hair strands around the hall. These were slowly collected in the rolling of the wheels on the floor. When concentrated in a hot knotty mess around an axle and in proximity to the bearings, then strange things started to happen. Cambridge, as a result, has grown an outdoor ice rink outside Kelsey Kerridge as the perpetual cold seems to slow the shedding.